Every once in a while, an author attempts to make big statements about big ideas. To portray social subjects (racism, class, history, tradition, culture, etc.) in the confines of written words is no easy task. Often, any commentary becomes burdened by the mechanics of language. 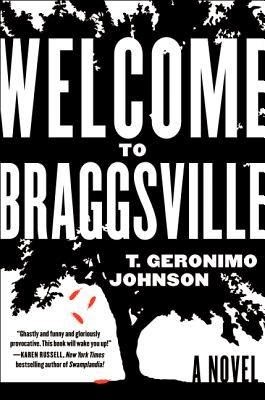 In his new novel, Welcome to Braggsville, author T. Geronimo Johnson attempts to tackle some of these topics. As he begins his freshman year at UC Berkley, D'aron Davenport is clearly a fish out of water. Thousands of miles away from his hometown in Georgia, D'aron struggles to find his way in this new place. He has never had to put much effort into his school work, and quickly ascended to the top of his small high school class with minimal effort. But the rigors of collegiate academics have taken their toll on D'aron. After the first semester, he finds himself with unsatisfactory grades and the threat of academic probation. A meeting with his advisor reveals deeper internal issues. D'aron's advisor, who also made the move from small conservative town to large liberal city, diagnosis the young man's social conundrum. She tells him that his difficulty in reconciling his upbringing with the culture of his new setting is normal, but he must come to terms with these issues to achieve success in his studies. It is not until an awkward turn at a party that things for D'aron begin to change. A misunderstanding finds D'aron, his roommate Louis Chang, Candice (from Iowa) and black prep school student Charlie being accused of being racially insensitive. From there, the group, 4 Little Indians as they call themselves, become close friends, and it seems that D'aron has overcome his social insecurity. It is an American History class on alternative perspectives that inspires the friends to create a performance piece that makes a political statement. D'aron's hometown, Braggsville, the kind of conservative place where "gay" is used as an insult or joke, holds an annual Civil War re-enactment. The group decides to make their statement at this event. When things don't proceed as expected, the foursome and the entire town of Braggsville are forced to face racial, social, and cultural issues that none of them could have anticipated. Johnson tackles tough issues and interesting characters to middling results. The central plot and characters are very well conceived and offer natural ways to explore complex social issues. Unfortunately, Johnson's unique authorial voice takes a bit of time to get used to, sometimes making reading this novel a chore. As is so often the case with this subject matter, the mechanics of written language fail to portray the lofty ideas that are discussed. That being said, there is no denying Johnson's craft. Even when the plot becomes muddied by excess points and overtly obvious observations, Johnson manages to steer the story back to a central focus that is both timely and engaging. In the end, Welcome to Braggsville is not a book that everyone will enjoy, but definitely offers the kind of sharp satire and commentary that is difficult to achieve. As someone whose life has been intimately touched by cancer, I was extremely hesitant to read The Fault in Our Stars by John Green. Regardless of the positive reviews, bestselling status, and movie adaptation, I simply was not ready to subject my emotions to a book about the awful disease. As time passed, however, I was overcome with curiosity. A year after cancer invaded my life, I finally broke down and read the book that everyone was talking about. Sixteen year old Hazel has a terminal case of cancer. An experimental drug has held the tumors at bay, but the threat of the disease remains. Her lungs regularly fill with fluid and she requires the assistance of an oxygen tank to help her breathe. There is no denying the truth. Cancer will kill Hazel. But there is much more to this character than her illness. A voracious reader, college student (she completed her GED while undergoing treatments), and fan of America's Next Top Model, Hazel shares many attributes of a typical teenage girl. At the insistence of her overbearing mother, who fears her daughter is becoming a recluse, Hazel finds herself at a weekly support group for critically ill teens. She grudgingly attends the meetings, but the shallow sentiments of the group leader and rotating group of teens (it's hard to keep a consistent membership when all of the members are terminally ill) do little to interest Hazel. It is at these meetings where Hazel first meets Augustus Waters. A lanky, attractive, former high school basketball star, Gus lost one of his legs to cancer. The young man seems to live life by his own rules. For example, Gus frequently places an unlit cigarette in his mouth, a metaphor for controlling something that has the power to kill him. The two immediately hit it off, bonding over literature and philosophizing about life and death. As their romance blossoms, they face the ugly truths about cancer and the ways the disease will inevitably affect their relationship. John Green does an incredible job of accurately portraying the horrors of cancer and the way it shapes the lives of those who come in contact with it. As a young adult novel, this book could easily have fallen into the trap of romanticizing a love story about teens facing the hardships of a disease. Fortunately, Green's characters are written with the kind of depth that allows readers to naturally become enraptured in their story. It is great to see an author write intelligent characters who are smart because of their thoughts and actions. . . not because he told us they were! There are no "against all odds" or "wisdom beyond age" sentiments in this story. Rather, the character grapple with the fear and unknown that comes with a terminal diagnosis. We see the horrific toll that cancer can take on the human body, mind, and soul. 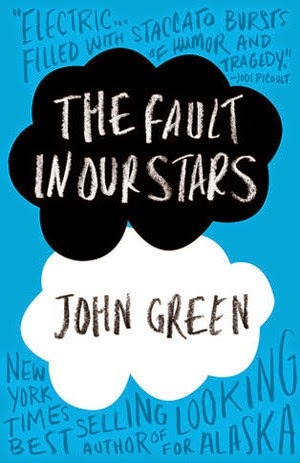 Yes, cancer largely influences the story, but it is the incredible, once in a lifetime kind of love between Hazel and Gus, that makes The Fault in Our Stars the rare, must read book that it is. In the mid-1950s, I completed a novel called ‘Go Set a Watchman.’ It features the character known as Scout as an adult woman, and I thought it a pretty decent effort. My editor, who was taken by the flashbacks to Scout’s childhood, persuaded me to write a novel (what became To Kill a Mockingbird) from the point of view of the young Scout. I was a first-time writer, so I did as I was told. I hadn’t realized it (the original book) had survived, so was surprised and delighted when my dear friend and lawyer Tonja Carter discovered it. After much thought and hesitation, I shared it with a handful of people I trust and was pleased to hear that they considered it worthy of publication. I am humbled and amazed that this will now be published after all these years. 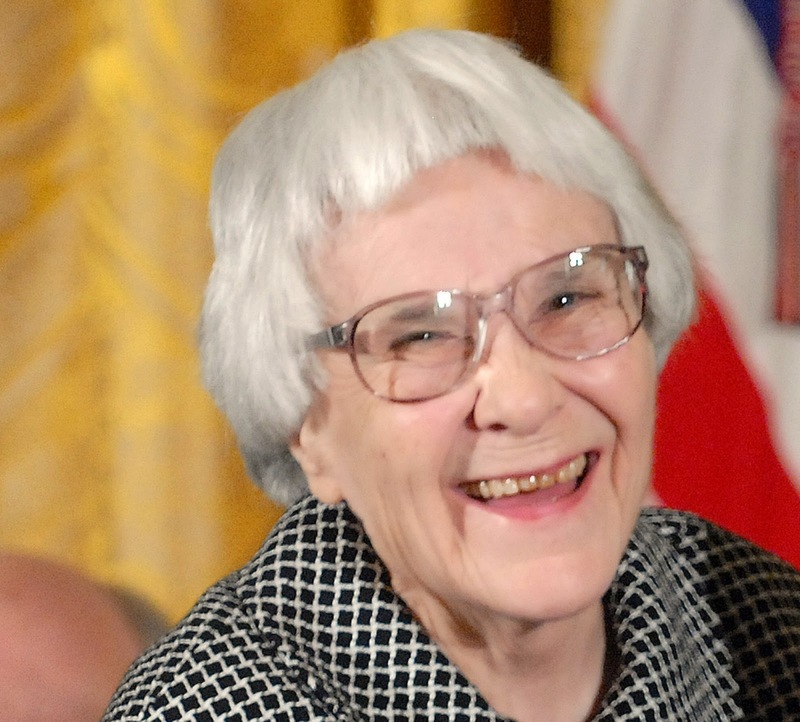 The new novel, set in the same Alabama town as Mockingbird, will feature many of the same characters. Scout, now an adult, will return from New York to visit her father in her hometown. See the full AP article for more information.